In a wok add pork lard and sauté garlic and shallots, fry until it becomes golden brown. Add raw bagoong, vinegar, cayenne and sugar. Stir fry for 3-5 minutes or until it turns dark red in colour. Blanch the kangkong pieces and drain using a colander. 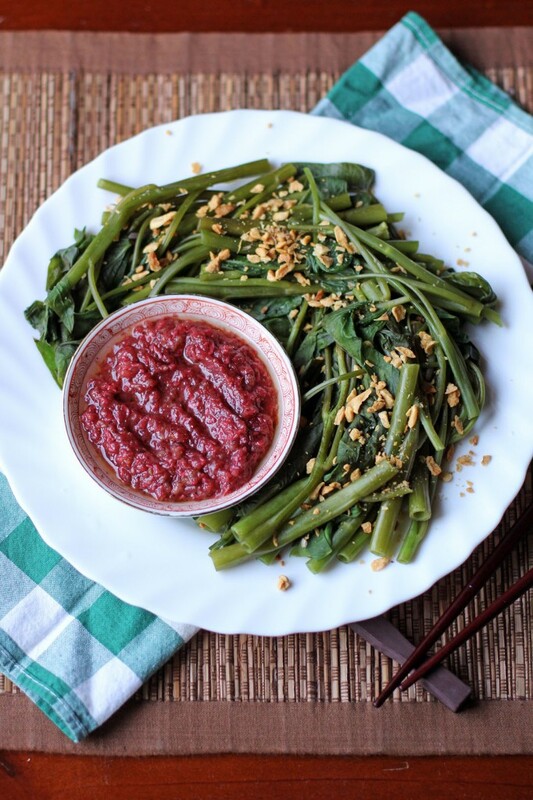 Place in a plate topped with Sautéed Bagoong and fried garlic.